Bangalore, Dec 9, 2009: The Council of Scientific and Industrial Research (CSIR), India, has achieved completion of first ever human genome sequencing in India. Scientist of CSIR at the Institute of Genomics and Integrative Biology (IGIB), Delhi, have sequenced the human genome of an anonymous healthy Indian citizen. Addressing a press conference, Union Minister for Science and Technology, Mr Prithviraj Chavan said that this feat is unique in the sense that it has been achieved by a team of very young scientists. CSIR has been endeavoring to nucleate such teams in different niche technological areas as per the directive of Dr Manmohan Singh, President of CSIR and Prime Minister of India. Elaborating the details of research on human genome, the Mr Chavan said that the first human genome sequence in the world was a result of the International Human Genome Project comprising scientists from the US, UK, France, Germany, Japan and China. 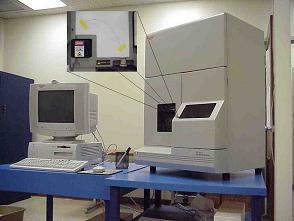 The project formally started in 1990 and the sequencing was completed in 2003. This spectacular feat at that time was hailed equivalent to the man landing on the moon. India could not be a part of this large initiative as in the early nineties it lacked the necessary resources. With the completion of the first human genome sequence in India, the nation is now in the league of select few countries like the US, China, Canada, UK, and Korea who have demonstrated the capability to sequence and assemble complete human genomes. CSIR could achieve this by adopting new technologies and by effectively integrating complex computational tools with high throughput analytical capabilities. The first human genome sequence in India took more than a decade with a spending of over one billion US dollars. CSIR scientists at IGIB finished the complete sequencing and assembly in much shorter time comparable with similar recent effort the world over. By using next generation technologies and skills, they successfully bridged the technological gap that existed a decade ago. 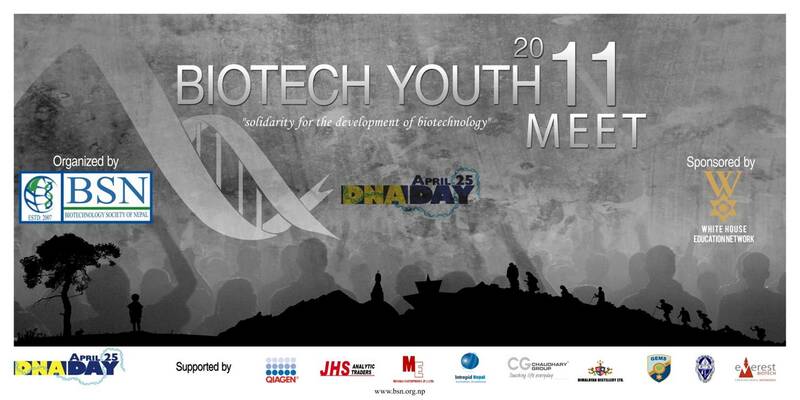 Mr Samir K Brahmachari, Director General of CSIR informed that the human genome has 3.1 billion base pairs. The team at IGIB generated over 51 gigabases of data using next generation sequencing technology, resulting in over 13x coverage of the human genome. This next-generation sequencing technology enables massively parallel sequencing of millions of genomic fragments of 76 base pairs, which are then mapped back to the reference genome. This humongous exercise was made possible with the CSIR supercomputing facility at IGIB. The sequencing of the first human genome in India in conjunction with Indian Genome Variation program opens newer vistas for low-cost affordable healthcare and predictive medicine in future for the masses. This also opens up newer possibilities in disease diagnostics, treatment and sustaining low-cost drugs in the market. 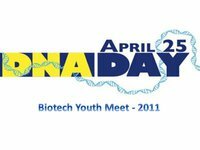 BSN organized a talk program on the occasion of world DNA and Genome Day on 25th April 2008. DNA Day is celebrated worldwide to commemorate discovery of double helix structure of DNA by Watson and Crick in 1953. It is also celebrated for completion of the Human Genome Project in 2003. 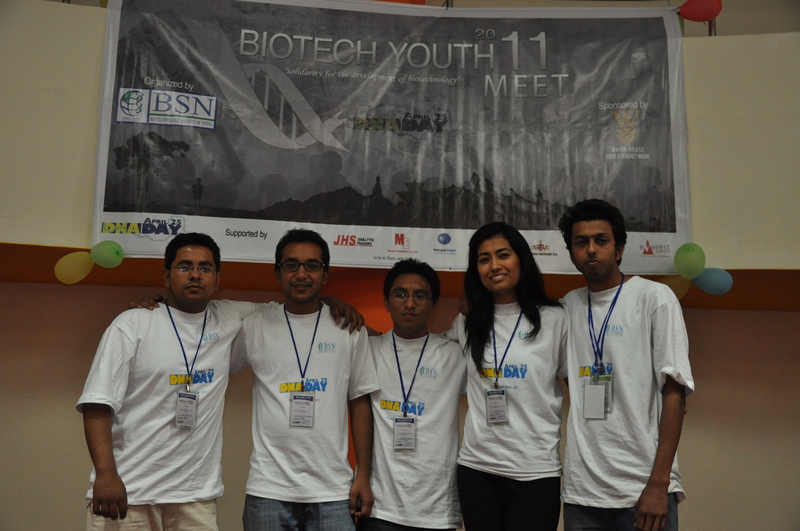 The program was a small endeavor of BSN to remember one of the remarkable achievements made in the history of biological sciences. In the program, renowned scientists working in different fields such as forensics, agriculture, food, environment and pharmacology were present. It was chaired by Prof. Dr. Hom Nath Bhattarai who also articulated scopes and challenges for scientists in Nepal. Prof. Dr. Vishwanath Prasad Agrawal, one of the senior scientists of Nepal revealed the dark side of the government about its reluctance in investment for science and technology. Dr. Agrawal who has also been elected in the CA election further added “It is the government who should understand the importance of biodiversity of Nepal and invest accordingly. Otherwise scientists can hardly achieve their goal with such limited budget”. Other distinguished guests of the program, Dr Mukunda Ranjit (Program Coordinator, SANN International College), Dr. Panna Thapa (Dean, School of Science, Kathmandu University), Dr. Tribikram Bhattarai (Head of Department of Biotechnology, Tribhuwan University) and Dr. Shiva Prasad Dhauvadel from Department of Chemistry, Tribhuwan University, discussed about current stage of Biotechnology in Nepal. 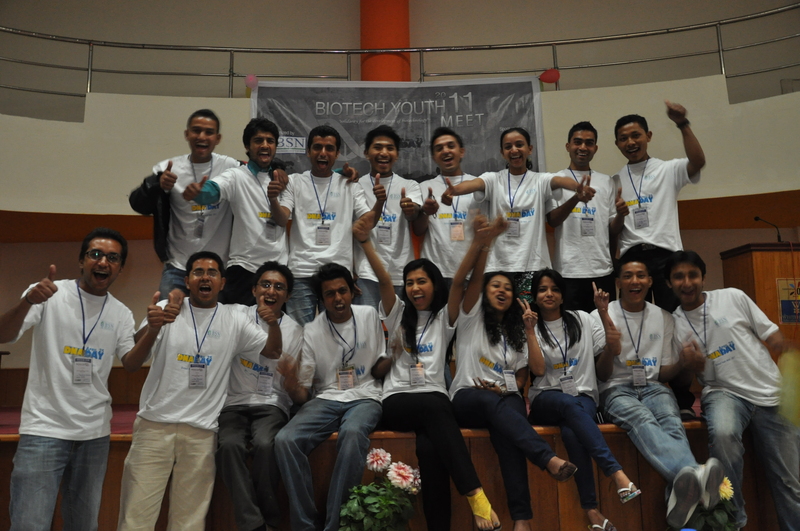 They illustrated an immense scope of this technology in biologically rich country like Nepal. 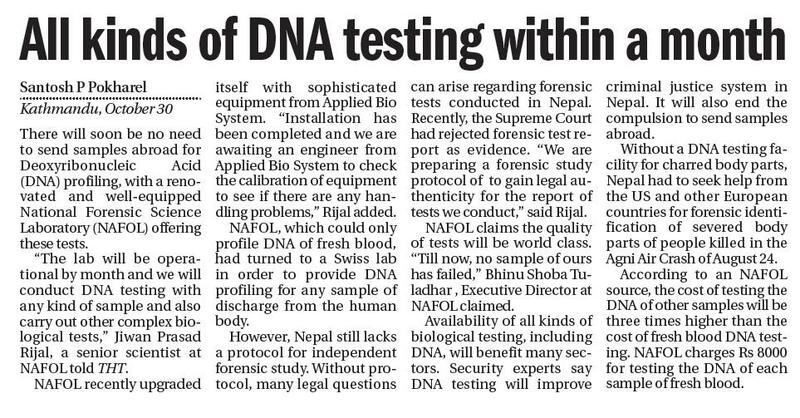 Mr. Jiwan Rijal, Special scientist, National forensic Lab, gave a clear idea about DNA and Forensic Science. Similarly Dr. Sameer M Dixit, country director, Center for Molecular Dynamics Nepal, focused on scope of DNA based disease diagnosis in Nepal. The program was held at Direction Exhibition and Convention Center, United World Trade Center (4th Floor), Tripureshwor, Kathmandu. The program turned out to be a huge success with over 130 participants and the speakers emphasized on the need of such interaction programs to be held frequently.